(I have no way of knowing if this message will be posted) Sunday, May 27, 2018 It is with extreme regret that I after 3,600 posts and 6 years I am ended my association with Scouter.com because I disagree with the recent heavy handedness of the Moderators. I have recently been disciplined and my content erased for an unknown specific issue both Kafkaesque and Orwellian. To all the folks I have met over the years and agreed/disagreed with thank you. The discussions here greatly aided my ‘work’ as a scout leader and was personally rewarding. I have personally met a few folks passing through Tampa which was very exciting. (If you are wondering if I am at my breaking point with scouting I honestly don't know. I am going to do some hiking this summer and see if I want to come back to BSA/Scouts USA come the fall. Too many changes and both my Eagle sons/ASM's who are opposites - one progressive and one liberal -are not coming back because of the changes and proposed changes. I have done my best to not influence them one way or the other.) I am really posting this over the poor treatment by one og the moderators and a warning to some that winter is coming. If I offended anyone with posts of poor taste I apologize. Electronic forums are a poor substitute for face-to-face communication and civility. I have usually tried to say the same things I would say around a campfire and have a hard time writing and expressing my ideas online. But if I ever had un-scout- like behavior it is entirely my responsibility. I still do not know what specific breach of decorum caused such extreme unction. I have asked and asked and frankly at this point I no longer care. I think the forum is useful in these times of organizational change, if for no other reasons than to gripe and blow off steam and then hear the reasons from the other guy. However, like many things these days it is getting harder and harder for folks who disagree to have a common stage to talk. (err…like a Forum). IMHO the threads are being overly managed, moved, and policed. It is just not fun and Scouter is becoming like the Webelos 3 of Scouting. I do feel , both on this blog and on the BSA and related social media threads, that dissent of any kind to recent and upcoming BSA policies will be repressed. ( banning a person’s speech and removing ALL trace of three thousand postings is not what we teach our scouts in Citizenship; it is over-reach and over-kill.) I believe this attitude will trickle down from Irving to Councils to individual Scout Leaders if they stick their head above their unit. In any case no hard feelings; it has been a good run. I have connected up with many great scouters and scouts here. Friends are free to email me. Good bye and thanks for all the fish. 'John'* aka “Tampa Turtle” Lostluggage2015@gmail.com * my real name, but I'd prefer to not use my full name because I have discussed scouts and scouters the last 7 years. I am sure you understand. 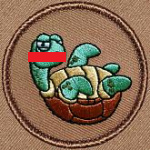 Tampa Turtle replied to FormerProfessional's topic in New to the Forum? Good topic. Son#2 just had his (delayed for a buddy) ECOH Sunday* and has well aged out. I am attached to few of the older boys and show up for the old pep talk and sign offs but seem to have less and less reason to be there. Mrs Turtle, understandably, is asking me after 10 years what is my next step. Someone already tapped me on the shoulder to be a DC, someone else to do EBOR duty at the District. Hits just as the nest is emptying. It is hard as I probably identify as a Scouter as much as anything else in my life. How does one stay connected but keep in balance? Feel a bit like a traitor if I plan to cut back and do something I enjoy more (like just hike for fun). I have seen enough divorced old Scouters to not ignore my better half's requests to do more things together. So yea @mashmaster it is not easy. * Fantastic one BTW. Had many old timers and faces re-united. It was truly a family reunion. Many teary speeches including the boys. I did like the line "Never trust anyone who likes your kids more than you do". BTW I do plenty of other youth based activities and none of them required this (thus far). The Catholic Church has many, many organizations, groups, and orders that are sometimes aligned with Rome and sometimes not. Surprisingly diverse. Just get a group of Priests, Nuns, and Monks together and you will find out. The United Methodist Church (which is a CO of many units) has multiple Scouting oversight groups but no one in our UMC sponsored Troop ever recalls a single contact, letter, or brochure since we have been around since 1955. The United Methodist Men has this: http://www.gcumm.org/scouting/ They mostly like any group.They seem to parrot whatever National says. (I am not sure where to post this) Not wishing to get political here or to critique modern day Eagle Scout coronations. My son#2 did his solicitation for congratulation letters for getting his Eagle (as that is what the practice has really evolved to) and, as many do, wrote the current President as well as all the living ex-Presidents, etc. It has been 4 months from when he sent in his for President Trump and never got anything. I checked around with the folks and scouts of other Eagle families and they all had the same experience. I was wondering if any one else on the forum knew of someone who got one? I will say that the Bushes were the most prompt and 41 was the most polite.Sessions and Perry were quick too. LOL my son gave up on some of the other cabinet members because the deck keeps getting re-shuffled. help help i'm lost down the rabbit hole.... BSA is making decisions based on polling trends, membership numbers, money, and occasionally marketable tradition and scout nostalgia. If the overwhelming majority of boys wanted a heavily Christ centered youth camping anti-gay experience then by gum National would find away to capture them. But looking at programs like Trail Life and American Heritage Girls that is not what most youth or families seem interested in. The CO overlay is a bit of a 'fudge' to shift liability away from National to some CO's. For some boys the wishy washy BSA higher power requirement is a deal breaker. But.....BSA is a voluntary organization....if any of us have an moral issue with a national policy we must examine our own conscience and act accordingly. Some BSA leaders with daughters are not comfortable with GSUSA, some are. To walk back the discussion...while I doubt BSA is going to un-ring the bell Mr Graham's comments may apply enough pressure on National to resist dropping the final 'G' for a while. I think it is pretty important (I have organized and led a few Scout's own at camp and events) but does not seemed to be shared by many in the membership. I do know a local very large Catholic church strongly considered dropping their GSUSA and BSa charters in lieu of a new creation but backed off when they discovered it was too hard to recruit enough parent leaders. So they will keep the status quo for now. I over heard a few parents mumble about the Mormon's pulling out at a meeting last night. No way to spin 400k leaving as a positive. You have to decide was the intent malicious and self-serving or just scout-stupid with unintended (safety) consequences? Scouts do stupid all the time. He has to do a re-start anyway. Separate the boy's project from the parents issue. This is pretty speculative advice. Was this a dock or walkway or deck or structure? Who did he lie about meeting with? The SM, the beneficiary, or some engineer? Did the parent encourage him? Has he poisoned his relationship with the beneficiary? Re-starting a project, redoing the paperwork approval process, or even starting a completely new project is not that unusual. It is an important, and frustrating part of the educational process. Sorry about having a mess. IMHO It seems a re-start was appropriate and good risk management--you are doing the lad a favor. Cutting corners in requirements and lying about it has potentially bigger consequences later in life. Better now then when the project is completed. Why did he do it? Seems like some "Scout Spirit" talk with the SM should be in order. The parents should back off-no scouter is getting paid to do this stuff and no boy is entitled to an eagle. If they REALLY have an issue transfer to a new troop and finish up there. Good luck with that. I do not think it is enough to stop the process, at most a pause. I have seen Scouts 'paused' for some serious character issues (drug use, stealing from the CO) that managed to re-group and move forward later. A little more info would help. He is not his father. One of his father's favorite verses: He must become greater; I must become less” (John 3:30). And he was very humble and accepting of all people while standing his ground. @LegacyLost it is still a free country. You are allowed to take your marbles, and children, elsewhere--good luck and good bless. Some of us will continue the good fight from where we stand. I do not understand why you even came on this forum? Join Trail Life or come up with something better.